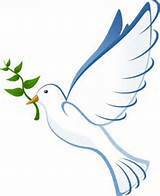 Funeral services for Deacon Charles Mathis of Americus, Georgia will be Wednesday, January 28, 2015 at 11:00 A.M. at the Friendship Baptist Church with Rev. Jesse Watts officiating. Burial will follow at the Eastview Cemetery. Deacon Mathis died peacefully on Saturday, January 24, 2015 at his home. Deacon Charles Mathis was born in Americus, Georgia, on Christmas Day (December, 25), 1932. He was the youngest son of the late Mr. Morrell Mathis and the late Mrs. Lula Bell McGrady Mathis. He is preceded in death by two brothers; Morrell Mathis Jr. and Edward Lee McGrady and grandparents, Samuel and Lorena McGrady. Charles was a 1952 graduate of A. S. Staley High School, Americus, Georgia where he sang in the choir and participated in other activities. He was ordained as a deacon at the Old Shady Grove Baptist Church in 1985 under the pastorage of Rev. Robert Earl Hines. He was a devoted member of Old Shady Grove until his health failed. For many years he worked in various industrial areas and retired from Wachovia Bank in 1992 as a Courier and Mail Room Worker. Memories will be cherished forever by his wife of 55 years, Mrs. Margaret Helen Smith-Mathis; a loving sister, Ozie Bell Mathis Calloway of Americus, Georgia; his loving daughters: Michelle Mathis (Kenneth) Paramore, Glenn Heights, Texas, Tanya Maris Mathis, Douglasville, Georgia, Wanda Jean Wade (Charles) Smith, Americus, Georgia, Gail Foster Mills, New Castle, Delaware, and Sandra Foster, Wilmington, Delaware; Sister in law: Lillie Ruth Smith, Americus, Georgia and Selma Smith, Louisville, Kentucky; one brother-in-law, Eugene Smith, Rochester, New York; devoted grandchildren: Katrina D. Hamilton, Americus, Georgia Desmond K. and Shayla K. Paramore of Glenn Heights, Texas, Charles J. Smith, Americus, Georgia and one great grandchild; Bryce D. Hamilton, Americus, Georgia; one devoted niece, Belinda Calloway (Larry) Ware of Rex, Georgia; two cousins who were like brothers: Eugene (Billie) Mathis of Shaker Heights, Ohio, Donnell (Louise) Mathis of Hartford Connecticut and Craig Walker (like a son) of Americus, Georgia. Charles is also survived by special friends and families including the Perry Harris Family, Annie Ruth Davis and Family, Jo Maxye Mckenzie, Ernest and Evelyn Solomon, George Glover and a host of other grandchildren, great grandchildren, nieces, nephews, cousins and friends also survive. Funeral services for Charles Fudge, Jr. were held Saturday, January 31, 2015 at 1:00 in the Chapel of West's Mortuary in Montezuma with Rev. Victor Johnson officiating. Charles Fudge was born November 22, 1956 in Homerville, Georgia to Charles Fudge, Sr. and the late Wylean Ferguson. He grew up in Daytona Beach, Florida where he worked for the state of Florida and Henry Tree Trimmers. In 2012, he moved to Georgia. He joined the Spring Hill Missionary Baptist Church in Marshallville, Georgia in 2013. Charles passed away on Saturday, January 17, 2015. He is survived by his devoted wife, Mary Ann Hooten Fudge; a step son, Darius Walker and step daughter, Princeta Walker; two grand children: Pa'Landria Walker and Delilah Williams; his father, Charles Fudge, Sr; brothers and sisters: Coreatha Solomon, Shirley Hayes, Nadine Fudge, Joseph Fudge, Calvin Fudge, Roy Fudge, Rodney Fudge and Lashonda Fudge;his mother-in-law, Annie M. Hooten; brothers-in-law: Charlie (Martha) Hooten, Robert (Sherron) Hooten, and Willie (Teste) Hooten; sisters-in-law: Mittie Petty, Mary (Eugene) Crocker, and Annie Slater; devoted niece and nephew: Shalonda "Penny" Hooten and Derek James; devoted friend, Terry Wimberly; a host of other relatives and friends. Mrs. Anna Bell Hall of Oglethorpe, GA died on Friday, January 16, 2015 at Hospice of Houston County in Perry, GA. Funeral Services will be Saturday, January 24, 2015 at 2 pm at New Hope Baptist Church, Montezuma, GA. Mrs. Hall was preceded in death her son, Lonnie Clayton, Jr. and two brothers: Leroy Jackson, Jr. and Arthur Lee Jackson. She leaves to cherish her memory her husband, Pastor Lee Willis Hall of Oglethorpe, GA; children: Adam Clayton, Byromville, GA; stepson, Decaldrick (Christy) Hall of Atlanta, GA; God children, Sharonda (Bob) Ladd, De'Marrion Fobbs, Devin Griffin and Lindsey Ladd all of Montezuma, GA; her father, Leroy Jackson, Sr. of St. Petersburg, FL; mother-in-law, Eveline Hall Hudson of Oglethorpe, GA; sisters: Sarah (Calvin) Turner of Montezuma, GA; Hazel (Jimmy), Jackson of Montezuma, GA, Lillie Pearl Jackson of Ashville, North Carolina, Agnes (Richard) Murray of St. Petersburg, FL, and Betty Joyce (Calvin), Wilcox of Fitzgerald, GA; brothers: Charlie (Wytina) Jackson of Vienna, GA, Marvin Jackson of Byromville, GA, and Danny Jackson, St. Petersburg, FL; brothers-in-law: Charlie (Tammy) Hall of Ft. Valley, GA, Marvin Hall of Atlanta, GA, Eddie C. Hall of Oglethorpe, GA, Jimmy (Debra) Hall of Ellaville, GA and Tyrone Hall (Chrispian) of Ellenwood, GA; grandchildren: DeQuntaez Clayton, Montezuma, GA, Addison Clayton of Warner Robins, GA, Sofya Hall, Aaliyah Hall, Makhi Hall, Jordin Hall, Sanaa Hall, all of Atlanta, GA; devoted friend, Lonnie Clayton, Sr. of Byromville, GA; extended family, Willie J. Caldwell (Linda),Vienna, GA and a host of other loving relatives and friends. Graveside services for Infant Raegyn A. Mariah Josey will be held on Saturday, January 10, 2015 at 3:00 P.M. at the Old Corinth Cemetery. Infant Raegyn A. Mariah Josey was born in Americus, Georgia on Tuesday, January 6, 2015 at Phoebe-Sumter Medical Center to Phaedra Josey. On that day our Lord and Savior saw his precious angel struggling for life and decided to remove all of her pain and take her Home with him. In addition to her mother, she leaves to mourn her passing one sister, Ms. Maliah Williams, Americus, Georgia, her grandparents: Ms. Mary Josey and Mr. James Josey Sr., her great-grandparents Mr. & Mrs. Capers Knight of Soperton, Georgia; aunts & uncles: Santwan Lockhart of Americus, Georgia, James Josey Jr. (Maria) of Warner Robins, Georgia and Latarus Josey Sr. of Tampa, Florida, her great aunts & uncles: Mr. Delphiene Knight, Warner Robins, Georgia, Mr. David Knight, Mr. Michael Knight both of Soperton, Georgia, Ms. Lorena Josey, Mrs. Carmen (William) Clark, Ms. Lena Josey, Mrs. Mary (James) Russell, Mr. Jimmy (Dons) Josey and Ms. Jewel Josey all of Americus, Georgia and Mr. Otis Solomon of Germany; three loving godmothers: Barbara Fulks, Maria Josey and Kim Williams. 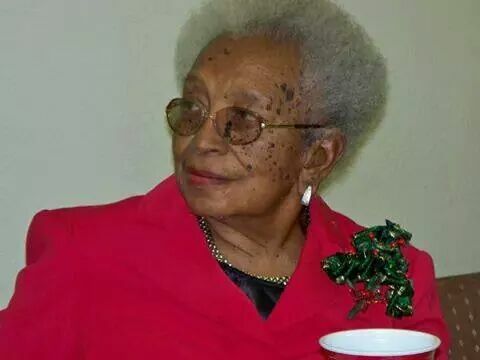 Homegoing services for Mrs. Mildred B. Carter will be held on Thursday, January 8, 2015 at 12 noon at Andersonville National Cemetery. Reverend Bobby Brown will officiate. Mrs. Carter was born in Marshallville, Georgia to the late Elder Robert and Lula Williams Baldwin. She was a member of Bethel AME Church, Montezuma, Georgia where she served as a Stewart and church treasurer. Mrs. Carter passed away on Friday, January 2, 2015 in Richmond, Virginia. She was preceded in death by her husband Henry James Carter and daughter Ynestra M. Russell. She leaves to cherish her memories, two daughters: Katreena (Clarence) Arnold of Chesterfield, Virginia and Rhonda (James) Williams of Portsmouth, Virginia; one son, Emmitt (Wanda) Mathis of Houston, Texas; and one son-in-law, Edward Russell of Portsmouth, Virginia; six grandchildren: Chelsea Washington (Russell), Letisha Mathis, Marques Mathis, William J. Russell, Leah Williams, and Christian Williams; four great-grandchildren; one loving sister, Mary Johnson of Macon, Georgia; a brother, Bell Vinson of Fort Valley, Georgia; special extended family LeRoy James, Jr., Sandy Melvin and Frances Baldwin; many loving nieces and nephews; devoted friends: Rose Marshall, Denise West, Terry Forbes, Stanley Stewart; and caretakers and friends Natasha Vonover, Marie Leary, and Earl Barron.